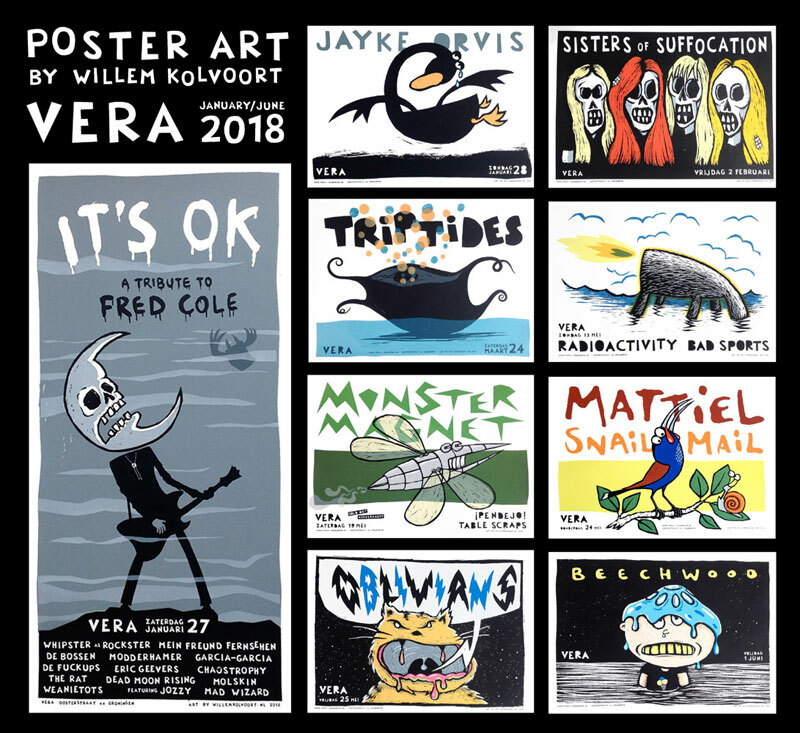 Well, 2018 is almost halfway and I designed and screenprinted already 9 posters for VERA club Groningen. And again, lots of cool bands have played or will play the VERA club this year! poster no. 500 is coming closer and closer…. Cheers, see you in the club!